Ok, I'm giving Carmen some points. I agree that the idea of keeping families happy and together should be a goal of educational institutions. Now let's see how well Carmen implements her plan! If only she would stop trampling teachers' rights, I'd be VERY happy! New York City Department of Education officials said Sunday they had matched 45 high-poverty schools with 25 social service partners to create “community schools” in an effort to boost attendance, prevent dropouts and improve achievement. City officials announced plans this summer to spend a $52 million, four-year state grant on so-called community schools, which bring health and dental clinics, counseling, immigration services, tutoring and other programs to help students come to school ready to learn. Of the 25 providers named as partners, many are long-established nonprofit agencies such as Catholic Charities, Good Shepherd Services and the Children’s Aid Society, which was once headed by Deputy Mayor Richard Buery. Community schools have been around for decades nationwide, with mixed track records. Skeptics say they haven’t shown enough success to justify a significant investment of resources. Some also say social services need to be combined with major improvements in instruction to make a real difference in student learning. In an interview Sunday, Schools Chancellor Carmen Fariña expressed confidence in this initiative because principals at the schools involved wanted these specific services and helped pick the providers. She said school leadership teams that included parents also had a voice. The United Way of New York City helped match the community-based providers to schools’ particular needs. President Sheena Wright said involvement of parents and educators was crucial. “Everybody is at the table so you have a broader and deeper perspective” on the actual needs of students, she said. For example, Manhattan’s High School for Media and Communications will get help from Catholic Charities to provide prep courses for the SAT and Regents exams, as well as after-school programming in theater and the arts. Rockaway Collegiate High School will team up with Family Health International to provide mentoring for students, staff professional development and mental-health services on campus. The services are expected to start in early 2015. The chancellor said she expects attendance to improve this year at these schools and test scores to go up by the spring of 2016. A spokesman said her staff is contracting with a third-party evaluator for the Community Schools initiative to track its efficacy in improving achievement, graduation rates and other indicators. Other providers include Partnership with Children, Bronx Works and the Henry Street Settlement. Some groups will work with several schools. 40 more schools offer similar services. The city will spend $52 million in state funds over several years to convert 40 schools into community hubs with medical and dental services, nutrition and fitness programs, tutoring, job training, and other assistance for students and their families, officials announced Tuesday, roughly doubling the current number of such school-based hubs. That first wave of schools will grow to 100 by 2018, Mayor Bill de Blasio has promised, as he joins policymakers around the country in seeking to boost student learning partly by attending to their needs beyond the classroom. The concept — which has been embraced by teachers unions, parent advocates, Governor Cuomo and President Obama — holds that when schools expand into service hubs, students become better prepared to learn, parents grow more invested in schools, and teachers can focus on teaching. But even the plan’s proponents say it could pose some challenges for the city due to its ambitious scale and the fact that some schools can draw on limited space to host new services or nearby providers to offer them. Also, advocates insist that schools must pair these supports with excellent classroom instruction if they are to help students with the most needs catch up to their better-off peers. Any school can apply to the program, though to be eligible schools must be struggling withstudent attendance, Deputy Mayor Richard Buery said after a press conference Tuesday. The city will use a state education grant to supply each school with at least $300,000 annually for four years, depending on its size and needs, Buery said. Officials did not say how they will pay for 60 additional schools to become service hubs by 2018, as the mayor has pledged. The United Way of New York City will help run the program, which will pay for a full-time coordinator at each school to determine what services are needed and which agencies can provide them on campus or nearby. 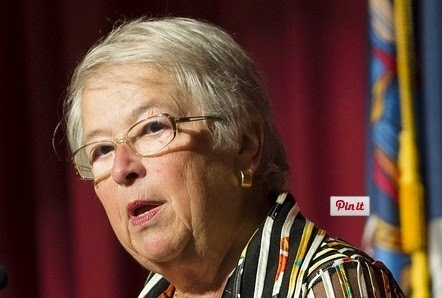 Chancellor Carmen Fariña emphasized that parents will help choose the services, something that advocates have demanded. She noted that some community schools, as the hubs are known, stay open in the evening and on weekends, though she did not say if these schools will. Some 40 schools currently act as community hubs, according to Buery, though some advocates count many more schools. Organizations such as the Harlem Children’s Zone and the Children’s Aid Society, which Buery previously headed, coordinate services at several of the schools, as does the city teachers union. Governor Cuomo has set aside $15 million in competitive grants for schools to adopt community services, and the Obama administration has funded “Promise Neighborhoods” across the country where young people can access an array of services in and around their schools. At the invitation of the United Federation of Teachers, de Blasio has visited a community school in Cincinnati, whose school district has embraced that model more completely than others. While the district has seen higher graduation and attendance rates since adopting the model, students that received support services last year made only modest test-score gains of between 1 and 3 percentage points. “I think everyone knows I do not pray at the altar of high-stakes testing,” he said. M.S. 327 Principal Manuel Ramirez said that extra supports have led to better student attendance and attitudes. The city’s community schools plan features some elements that advocates requested, such as the service coordinators and a role for parents. But it falls short of the $500,000 per school that the advocates had sought and leaves out some academic supports they recommended, such as extra special-education resources and master teachers. The goal of launching the program in 40 schools by this fall is an ambitious one, said Martin Blank, director of the Coalition for Community Schools, a national advocacy group that has advised the city on its plan. By contrast, Cincinnati has created 34 community schools after nearly a decade. Some of the schools will have to search beyond their immediate surroundings to find service providers, Blank added. “As New York’s demographics have shifted, the agencies aren’t always located where the need is,” he said. What’s more, some of the schools with the most students who could benefit from extra supports have the least spare space to house on-site healthcare providers, counselors, and other specialists, experts said. Such schools may have to reconfigure their space to make room for the service providers. M.S. 327 in the Bronx, the community school where Tuesday’s press conference was held, has not faced that challenge. That school and an elementary, P.S. 555, are housed in a new $100 million complex that features a health clinic, dance studio, rooftop garden, and 75-foot swimming pool. 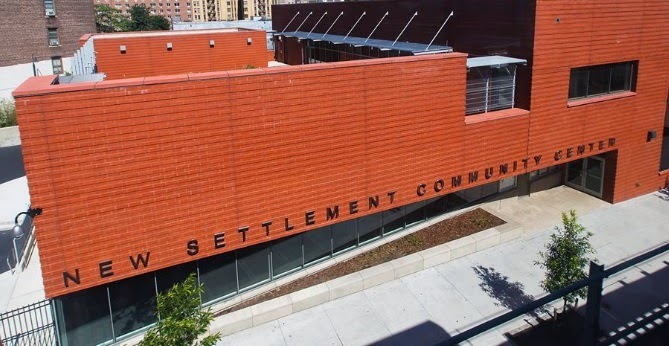 The schools offer dance and swimming lessons, wellness workshops, college prep classes and more through the support of New Settlement Apartments, a nonprofit affordable-housing provider that helped pay for the complex and a service coordinator for the schools. M.S. 327 Principal Manuel Ramirez said it is too soon to trace academic gains to the services, since the school has only been in the new building for two years, but student attendance and attitudes have already improved. “And that makes it easier for us to teach the kids,” he said.